The close season is a time of great excitement for fans of all sports, and this is definitely the case with basketball. NBA fans still have a bit of time to wait until their heroes return to action, although it won’t be too long until friendly matches start to take place. However, in the UK, we are a lot closer to the start of the 2014/15 British Basketball League and it seems as though the London Lions are well into their pre-season campaign. The club has made a raft of new signings but they have also announced a contract extension for Joe Ikhinmwin, with the 6ft 6 inches player signing up for a further two seasons with the team. He signed from the Newcastle Eagles back in 2013 and he has been a player that has fitted well into the system deployed by the Lions. The player spent a total of 4 years at the South Carolina State University before graduating back in 2012. He can also boast of being a former GB Under 20s player, so there is a great deal of experience on offer from Ikhinmwin. Many BBL teams are keen to ensure that they hold an English or British core and this capture will help the Lions to retain that local edge. 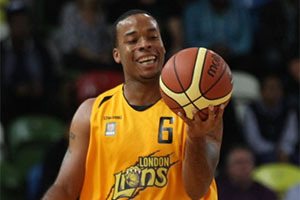 The club has also retained the services of Rod Brown, a point guard and Adrien Sturt, a forward, from last season. Brown has a great deal of experience and the American player, although he now holds a British passport, can call on basketball experience from across Europe. He has been with the Lions since 2012 and he is a player that is regarded as one of the most important players in the side. For Sturt, the new campaign will be his sixth in the BBL, having played in Essex and Milton Keynes as well. The team believe that he is an important signing with coach Vince Macaulay speaking highly of the player and of the potential for success from Sturt this season. The team can also call upon Ian Salter, another Englishman, to lead the charge in the BBL this season. The Lions first match of the new season is a trip to Surrey United, which takes place on the 26th of September. The team play their first home game of the campaign against the Bristol Flyers on the 3rd of October. The team will be playing their home games at the Copper Box Arena, which is located in the Queen Elizabeth Olympic Park. The team has already seen some action though, with a friendly game at the Essex Leopards, an English League Division One side, taking place on Friday night. The pre-season schedule is crucial in creating a platform for success in a new campaign and the Lions are hoping that they are on their way to a successful year. 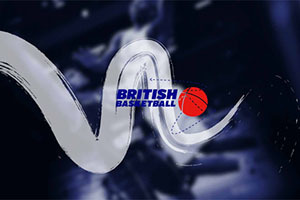 There is no doubt that the BBL suffers in comparison with the NBA and the top teams in European basketball, but it is important to be enjoy the British Basketball League for what it is. It allows basketball fans to see live basketball played out in front of them on a regular basis and there is a good blend of up and coming talent and experienced players. There is also the fact that BBL provides a number of basketball betting opportunities, which is always going to be of interest to many punters. The London Lions are not the most instantly recognisable basketball team, even in London, but there is no doubt that they help a lot of people connect with basketball, which has to be seen as a positive thing.